TuffPlans® are now able to offer GNS Geological Maps under a special Licence from GNS. TuffPlans® GNS Maps are printed on Tyvek® using a high resolution colour printer, they are: Waterproof, Tear Resistant and Extremely Durable, ideal to use in the field. They don’t need to be laminated, can be used in any climatic conditions, can be rolled, folded and can be written on with almost any type of writing instrument. 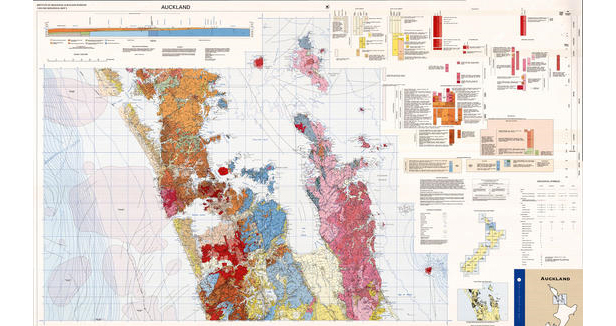 The GNS quarter million mapping (QMAP) programme is the NZ national 1:250 000 digital geological mapping project, created using GIS. The QMAP project published the last of 21 geological maps in 2012. These are 930mm x 1350mm, can be supplied either Folded or Rolled.